Monsoon is here, and fashion is a challenge during this period. You have to maintain your styling quotient without any obstacle. After all, fashion is one of the most important elements in today’s life. You gotta look stylish without monsoon being too dominant over you. You cannot let that happen. Keeping fashion intact is the strategy. Here are few tips to that will keep you sorted in this monsoon. Monsoon season should be the season of light fabrics and light colours. Cotton, Chiffon, Rayon, Georgette is recommended to wear in monsoon as these materials dry very soon in case you are drenched. These material are suitable to be worn in the humid climate as they allow air to flow in and around the skin, creating a cooling effect on your body. Less is more while monsoon. Avoid wearing long pants, denim, skinny jeans. As they take a lot of time to dry in case you get drenched. Cropped pants, shorts, are the best during this season as there is no unnecessary tension of folding your jeans and then waiting for it to be dry because it is nit like ‘ the folding’ strategy will not get you wet. Wear shorts and look hot this monsoon! 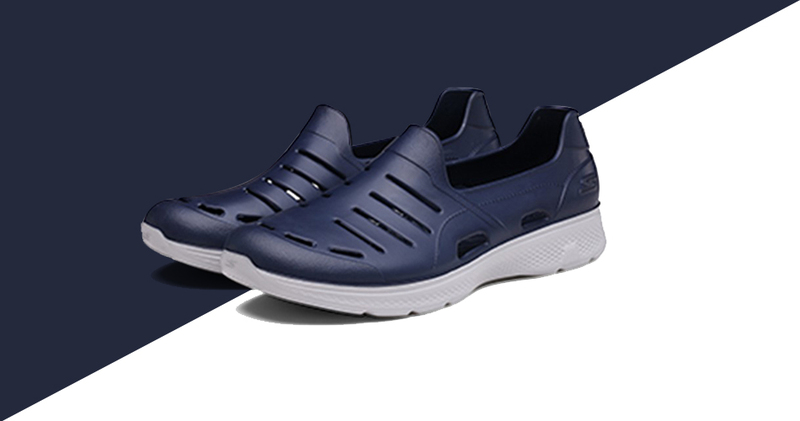 The ordinary shoes are not warrior enough to fight these rough monsoon. You definitely don’t want to struggle with your non-water resistant shoes. Keep your feet protected from infectious rainwater. Try Skechers H2GO shoes, they are specially designed with Hydro Foam Upper which is a technically advanced water-resistant material with enhanced pliability. Also, GOimpulse Sensors which are Lightweight for comfort and flexibility. You can ‘Rain-Rain Shoe Away’ this monsoon with Skechers! Use transparent bags this monsoon. It is always good to show off a little about your accessories. Keep your laptops and other electronics safe from the reach of water. And the best part, you don’t really have to worry if it is going with your outfit because it always does! Avoid using cotton or leather. These colours are dangerous while monsoon. If you don’t want a peekaboo situation, don’t wear such thin fabrics. Wear something printed or colourful. It is wise to avoid those fabrics and colours during the monsoon. Wear colourful to kill the gloomy monsoon! This monsoon, keep your fashion game strong with the aforementioned tips. Fashion and Monsoon must go parallel!